You know that the right RFID solution can help you keep track of the people and products that matter most to you "" and save valuable time and money in the process "" but only if the technology can capture data quickly, accurately and cost-effectively enough to keep up with your business. The faster your business moves, the more your business-critical applications will demand from an RFID reader. And these days, no one is slowing down their pace of business. RFID begins with the radio. So that"s where Zebra began with the FX7500 Fixed RFID Reader. We created a new RFID radio technology, purposely designed from the ground up for faster, more accurate read rates, and more consistent performance even in challenging environments. This software-based radio technology effectively future-proofs your RFID investment by delivering flexibility to implement future upgrades and improvements with minimal investment. Then we paired that radio with a new, more flexible Linux-based network architecture that integrates the tools and open-standard interfaces you need for fast, easy deployment with your RFID and back-end applications. The result is a fixed RFID reader that sets a new performance standard "" delivering peak performance at all times with excellent reader sensitivity and better interference rejection, at a lower cost per read point. It works better. It costs less. 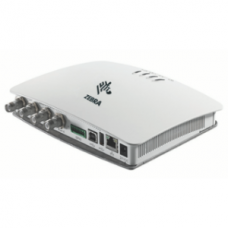 Zebra FX7500 - 2-Port Generation 2, Fixed RFID Reader. Global Version. Tags: Zebra FX7500 - 2-Port Generation 2, Fixed RFID Reader. Global Version.